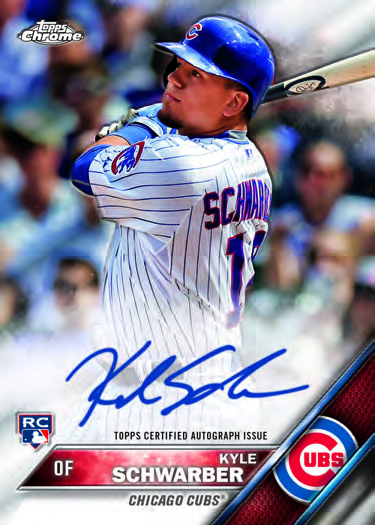 Home » 2016 Topps Chrome , Baseball Cards , Corey Seager , Kenta Maeda , Kris Bryant , Michael Conforto , Review , Topps » Can Topps Chrome offer more than a shiny finish on proven product? Can Topps Chrome offer more than a shiny finish on proven product? Consumers have been traditionally willing to trade in tried and true reliability for the newest shiny gadget on the market, whether it is a car, a phone, or a pair of sneakers. Topps hopes that they can capitalize on collectors’ obsessions to scoop up the latest glistening gadget with the release of the 2016 Topps Chrome set. 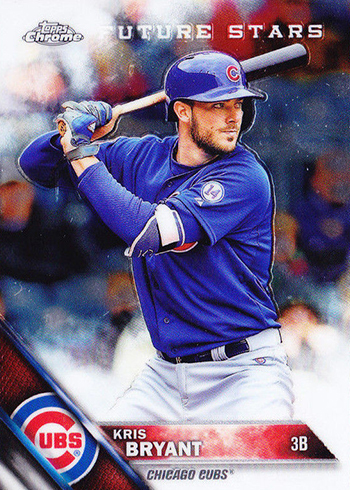 Adding a premium touch to the 2016 Topps base set design, Chrome takes the this year’s classic release up a notch with an enhanced stock and a condensed 200-card checklist in an attempt to attract customers to the product. With only four cards per pack, Topps Chrome aims to have the feel of exclusivity; however, that feeling is quickly lost with the myriad of parallels that includes nine different types of base card refractors. Building a set is a challenge, as collectors would have to dig into three boxes of the product to even have a chance at compiling a set. With the price of boxes hovering around $70, going through $200 of product just to have the chance to collate a set seems like a daunting task, leaving collectors to focus on the bigger hits in 2016 Topps Chrome. Each hobby box boasts two autographs, with the majority consisting of almost 80 different rookie selections, including the likes of Michael Conforto, Aaron Nola, Kenta Maeda, Corey Seager, and Julio Urias. An intriguing pull is the 2015 Carlos Correa Topps Chrome Autograph, which missed the cut from last year’s product. Collectors lucky enough to pull a dual autograph could wind up with one of Bryce Harper and Mike Trout, or Kris Bryant and Kyle Schwarber. 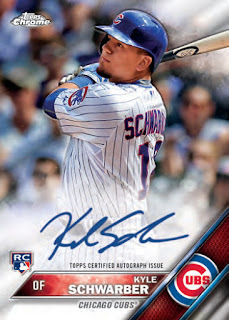 While a varied list of autographs, and a smaller set filled with stars and rookies is certainly appetizing, that alone cannot save 2016 Topps Chrome. 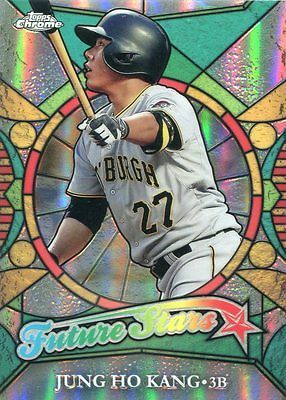 One thing the hobby needs less of is duplicity, and with what is essentially a chrome finished base card with no change in design, Topps has unfortunately done little to give collectors a reason to chase this one down.